Drenched in California sunshine and saltwater, Newport Beach was the ideal home base for a sun-soaked autumn Marathon Club foray. Inviting beaches sprinkled the landscape from attendees’ front yards to short drives or mere strolls away, beckoning early arriving attendees to indulge and relax before the rally officially began on October 16. 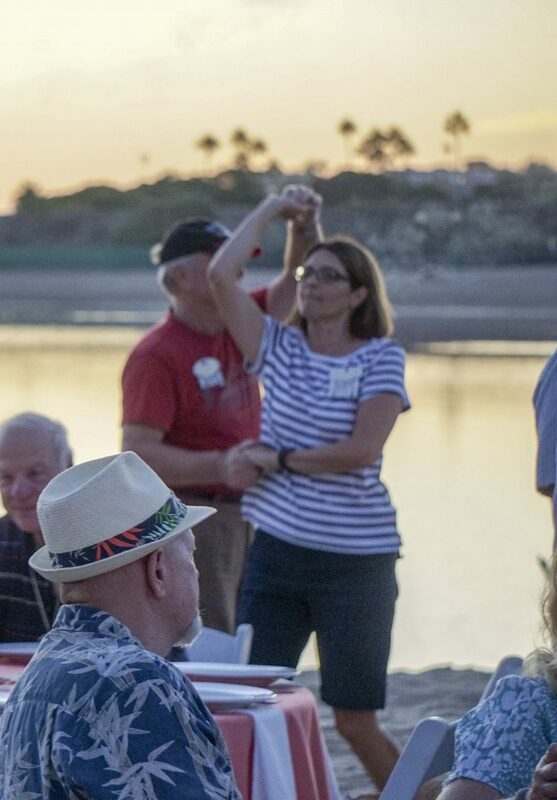 Monday evening kicked off the rally festivities with attendees eager to eat, drink and Conga on one of Newport Dunes RV Resort’s beachfront pavilions. 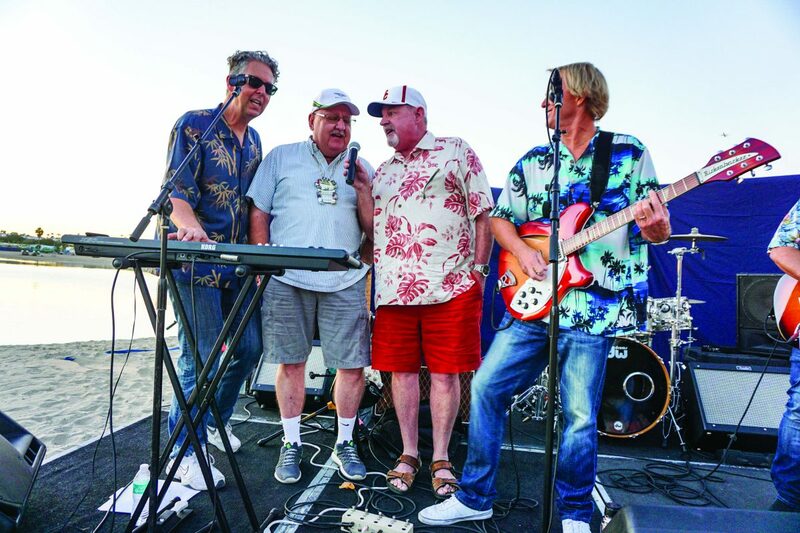 Located a leisurely stroll away from the club members’ coaches, rally goers were greeted here by the IR Surf Beach Band, recreating the best Southern California tunes of yesteryear, and a bartending duo serving ice cold libations. This combination helped attendees loosen up any stiff muscles for the pre-dinner washer-toss games and bocce ball tournament. 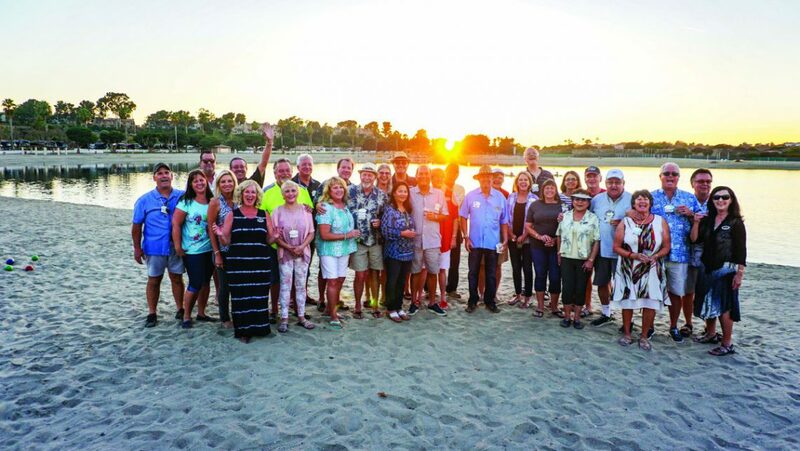 As the sun set over Back Bay, revelers gathered in the sand for a group photo before settling in for a dinner brimming with savory fare. Prior to dessert, Club President Kit Thomson took to the stage, greeting club members, making announcements, recognizing the contributions of the volunteers and thanking Prevost for its continued support of the club, as well as Steve Schoellhorn and Marathon Coach. A roaring fire, s’mores makings, a hilarious game of limbo and an impromptu Conga line set the perfect tone for the remainder of the week. Tuesday morning began with the Fall 2017 Marathon Club General Business Meeting. After a variety of reports were presented, elections were held for the club’s next slate of board members and officers, whose terms will begin at the conclusion of the rally and end in the fall of 2019. Thanks to President Walt Staltman, Vice-President Alice Nelson and Secretary / Treasurer Carol Gossman for serving. Soon after, attendees boarded the transportation bus to journey back in time at the Lyon Air Museum. 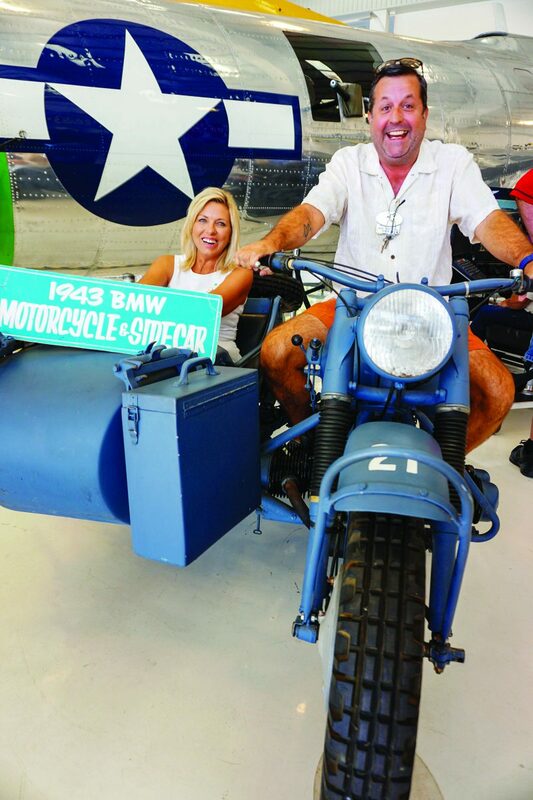 Major General William Lyon founded the 30,000-square-foot museum located on the west side of John Wayne Airport with an emphasis on World War II and the onset of modern aviation. Stemming from Lyon’s personal collection, the refurbished military aircraft, automobiles and motorcycles look new, as if delivered straight from the assembly floor. 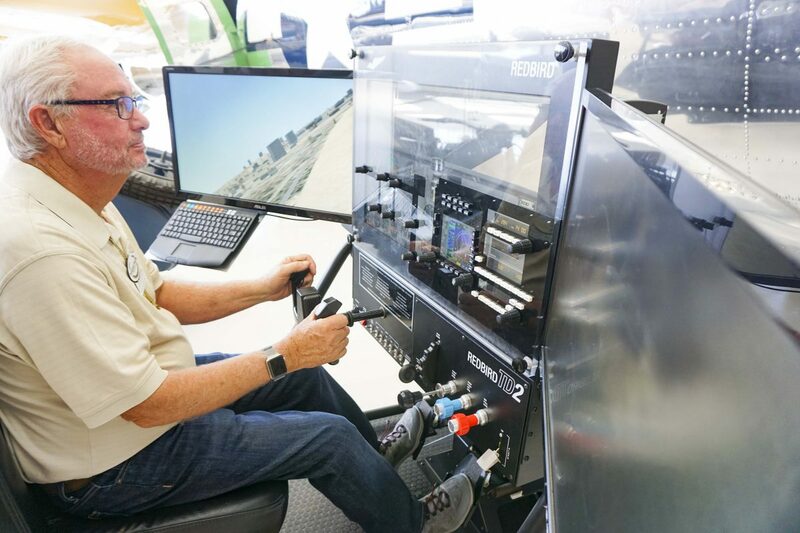 Lyon’s vision exceeded mere glimpses into history or works of art to be admired as many of these archival links to the past are regularly flown or driven. 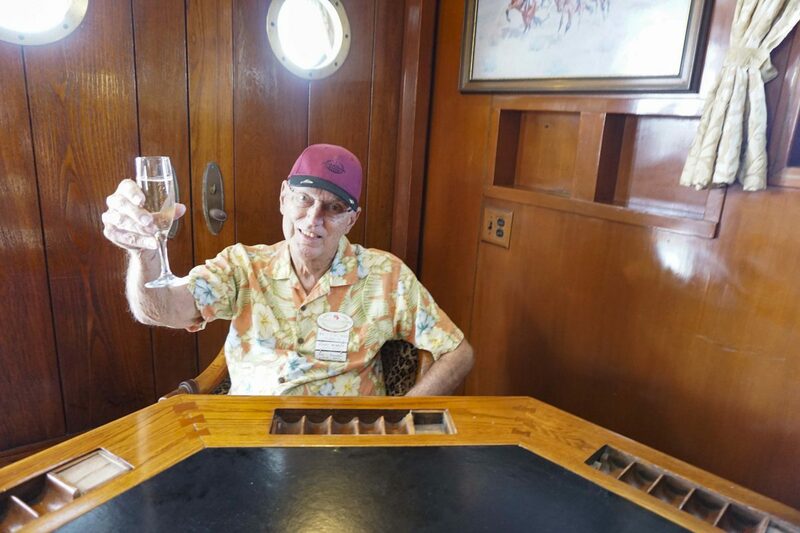 The next activity on the agenda — a luncheon cruise in Newport Harbor — was also tied to WWII. The cruise vessel was a decommissioned WWII minesweeper that originally belonged to the Department of the Navy. In 1955, it was purchased by a Seattle lumber tycoon and converted into a private yacht. 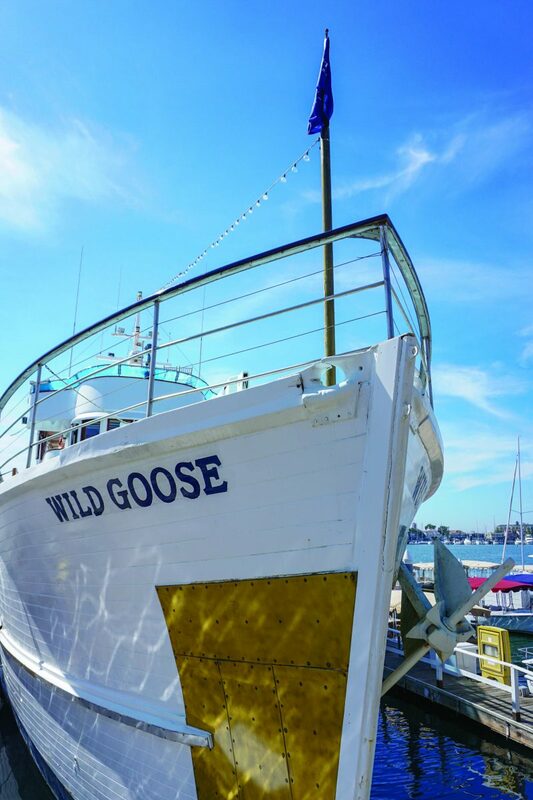 Ten years later, actor John Wayne purchased the yacht and christened her the Wild Goose. 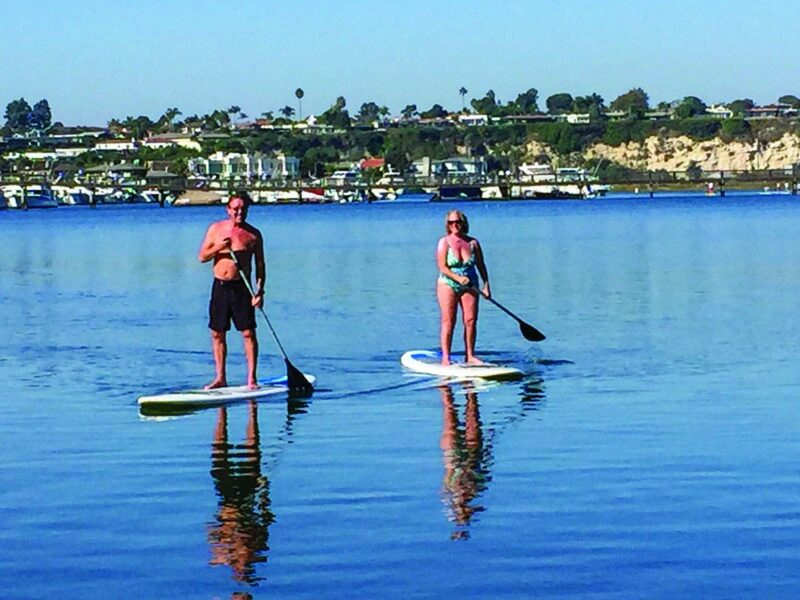 For 14 years Wayne used her for private getaways with family and friends to places such as Santa Catalina Island, Cabo San Lucas, Alaska, the Bahamas and Mazatlan. After boarding and receiving a welcome glass of champagne, attendees enjoyed exclusive access to the sensational yacht. As the impressive vessel left the harbor, many could be found in the fireplace room — the heart of the Wild Goose — where Wayne spent days playing bridge while savoring brandy on the rocks. 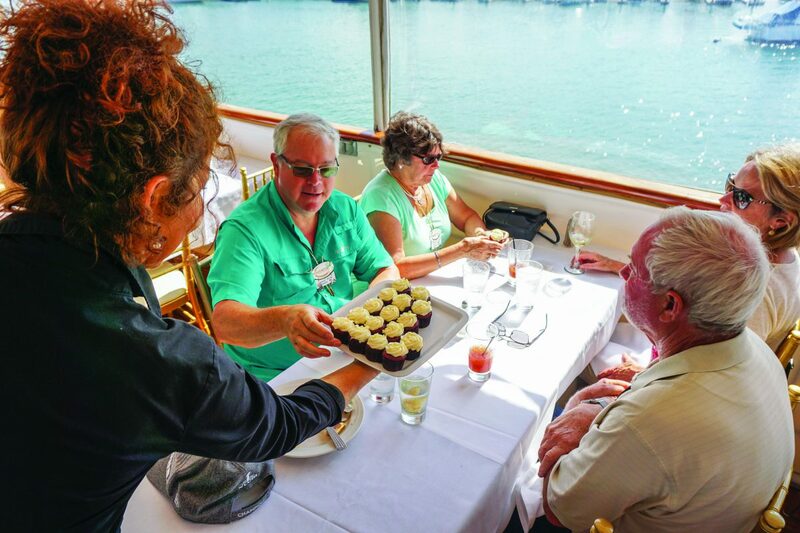 Others soaked up the sun, choosing instead to sit outside on the deck, while still others followed their curiosity, touring the many spaces on the ship, including Wayne’s bedroom, his children’s room and finally the upstairs dining area, where a decadent buffet-style lunch was served, followed by three courses of dessert. Cantering about charming Crystal Cove State Park on Wednesday, where vintage glamor and old- school allure hides in plain sight, the best catch of the day was often found on attendees’ cameras and phones. 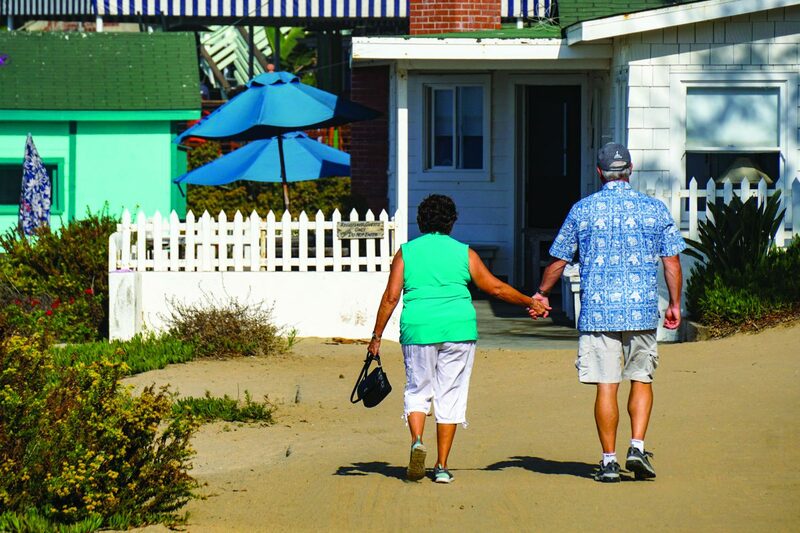 On the National Register of Historic Places, the collection of 46 coastal cottages from the 1930’s and 40’s are just as renowned for filmmaking, such as the now-famous cottage from Bette Midler’s movie “Beaches,” as for being a vacationing mecca, perfect for romantic strolls and candid family photos. 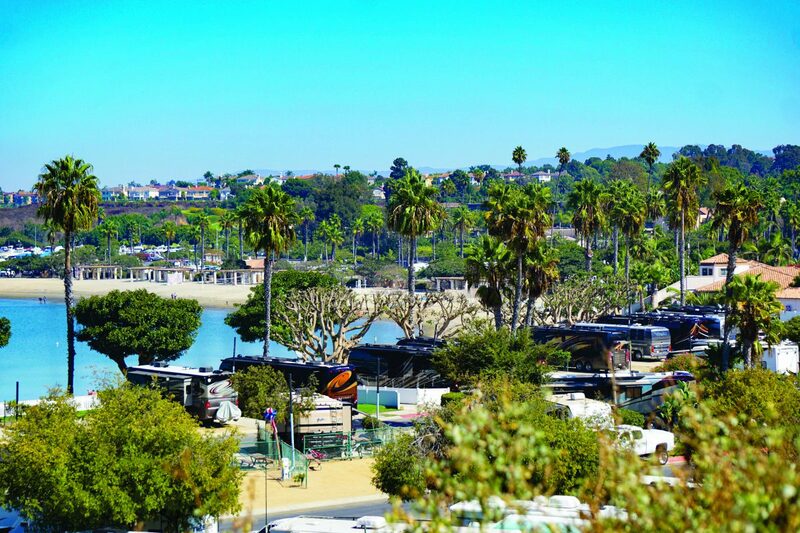 After touring Crystal Cove’s Historic District and strolling the pristine beach, the lunch at Harborside Grand Ballroom in Balboa Pavilion was a welcome respite. With tables plump with an array of salads and platters of towering sandwiches, not to mention flowing libations, sparkling conversation flooded the group’s private space overlooking the water. Wednesday evening found a playful group of attendees tossing Frisbees, sipping wine and getting acquainted by the water; others relaxed outside their oceanside cottages taking in the ideal weather and picturesque views of local wildlife, including airborne pelicans and capering bunnies under the freckling of stars. Others still chose to indulge in more fabulous food at renowned local restaurants. 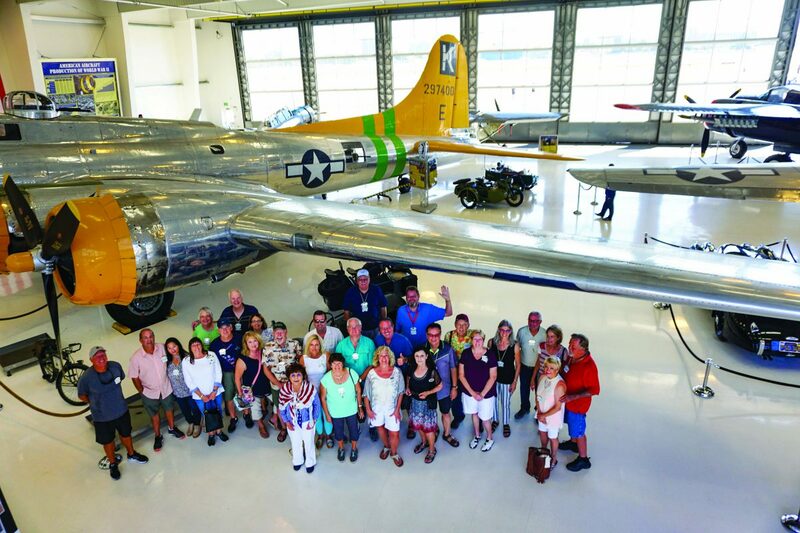 Thursday had attendees chasing fun and adventure in separate directions, a small group visiting Laguna Beach and the rest Lake Forest. 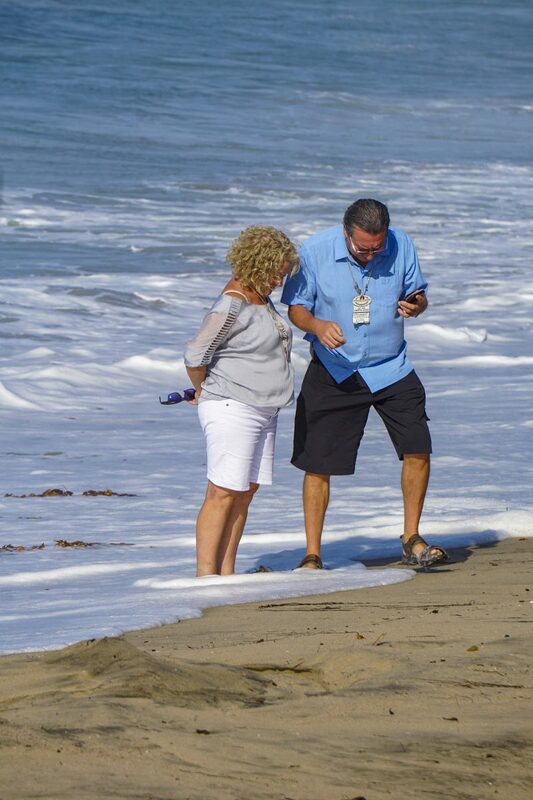 The activity in Laguna Beach was a guided walking tour of some of the city’s public art. This art is the result of two city programs, “Public Art and Murals” and “Art in Public Places,” with goals of displaying art that reflects the city, as well as its current and future citizens. The tour began at the Festival of Arts building, then continued through town where attendees viewed sculptures, bronzes, murals and even a red, British-style telephone booth piece. As the tour continued, Guide David Shermet shared local history answering questions such as, “Why is there a ‘lighthouse’ on the hill a mile inland” and “What’s the story behind the statue of the city’s famous ‘greeter?’” After a full morning of exploration, everyone compared notes during lunch at Skyloft, where the group had rooftop seating and a lovely ocean view. The other activity, at The Wine Artist in Lake Forest, had three components. The first was a friendly-yet-fierce and often hilarious “Iron Chef” cooking competition, where the “secret ingredient” was fresh corn. After a half-hour of chopping, cooking, assembling and plating, the two competing teams exhibited their epicurean prowess — Team Burgundy with its “gastronomical delight,” a chicken and corn chorizo taco with homemade guacamole and chips, and Team Chardonnay with its corn relish tostada, “kicked up a notch” with jalapeno peppers and white wine — After evaluating the dishes on use of the secret ingredient, presentation and taste, the judges awarded the trophy to Team Burgundy! Being a slightly competitive group, some playful banter followed this announcement. Next on the agenda was a lesson on wine and cheese pairing, with generous sampling, followed by a satisfying lunch. After a reprieve to rest and freshen up, it was time to enjoy dinner at the highly rated Rusty Pelican. After copious amounts of shared appetizers, attendees had their choice of delicious entrées from the eclectic offerings. Apple cobbler and key lime pie made for a sweet ending to Thursday’s meal. Friday morning’s Tech Talk session, led by Marathon Technical Support Manager Leon Snider and Marathon Technician Jeff Campbell, was well received. Attendees then boarded the bus for two back-to-back activities in Huntington Beach. The first stop was Surf City Garage, which owner Tim Miller joked, is the happy result of his “hobby run amok.” This working garage houses Miller’s personal collection of muscle cars from the 50’s, 60’s and early 70’s: Corvettes, GTO’s, Chargers, Shelby Fords and others, all restored to pristine condition. Miller’s second vice added to the atmosphere: Perfectly restored signs from gas stations and car dealerships back when the cars were new. 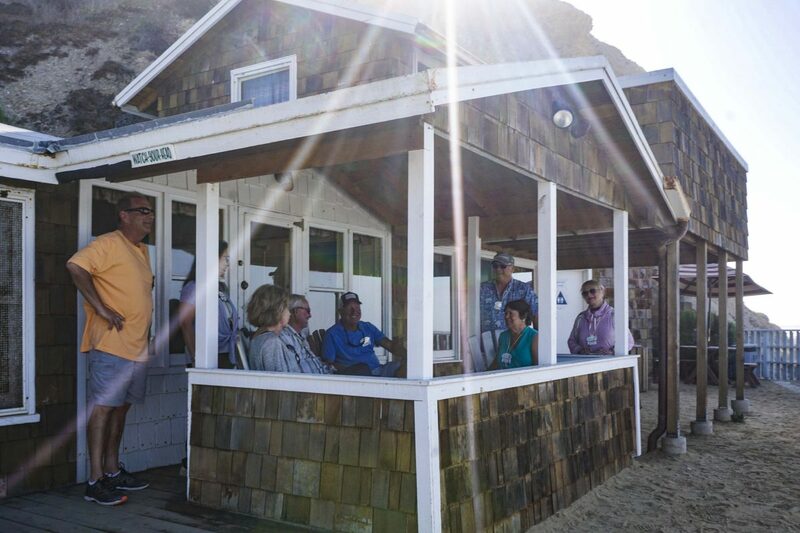 After enjoying a delicious Hawaiian-inspired Aloha lunch with sweeping views of the beach, pier and ocean at Duke’s Huntington Beach, attendees returned to the Resort mid-afternoon to enjoy some downtime. 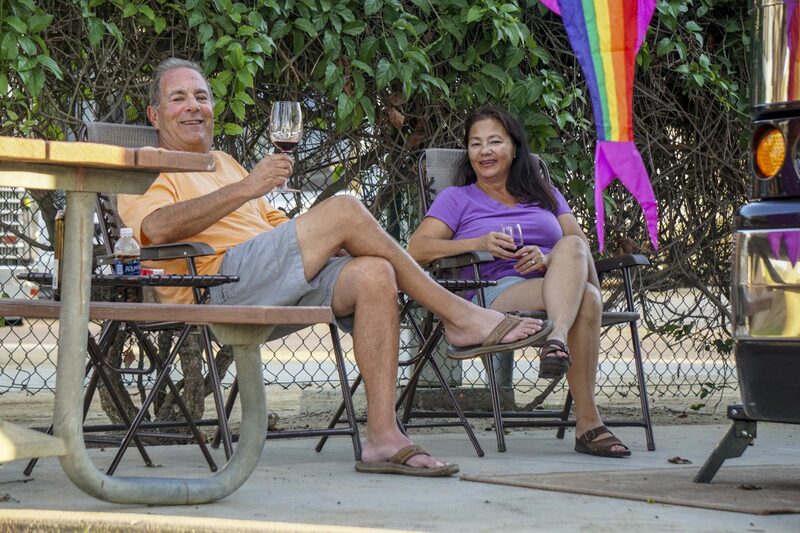 Some walked their dogs, while others enjoyed the scenic paths and parkways, the company of their neighbors or taking a much-needed nap.